What are the Magic Mirrors? 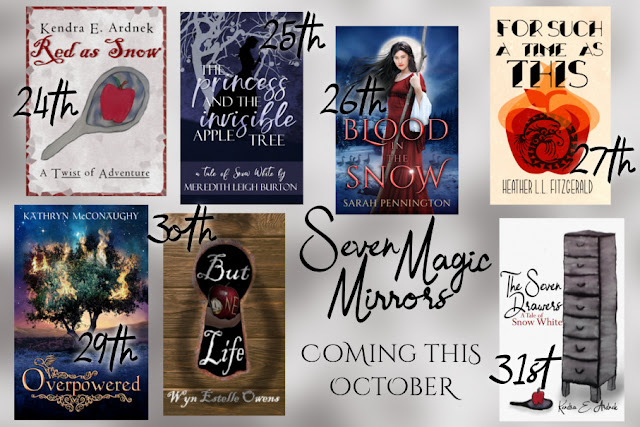 The Magic Mirrors are seven retellings of Snow White and the Seven Dwarfs by six different authors, each unique in tone, setting, and moral. From the light hearted and twisted to dark reimagining to futuristic mashups to non-magical historical fiction, this collection has something in it for every reader. The special story I’m sharing today is Sarah Pennington’s Blood in the Snow and it is AMAZING! Plus, it officially released today! Sure to delight lovers of fantasy and fairy tales, this rich and magical Asian-inspired adventure combines Snow White and The Goose Girl in a way you’ve never seen before. Sarah Pennington has been writing stories since before she actually knew how to write, and she has no intention of stopping anytime soon. She is perpetually in the middle of writing at least one or two novels, most of which are in the fantasy and fairy tale retelling genres. Sarah’s first published work, Blood in the Snow, received a perfect score and Special Unicorn status in Rooglewood Press’s Five Poisoned Apples contest. When she isn’t writing, she enjoys knitting, photography, and trying to conquer her massive to-be-read list. Unicorn Quester: Review <— You are here!